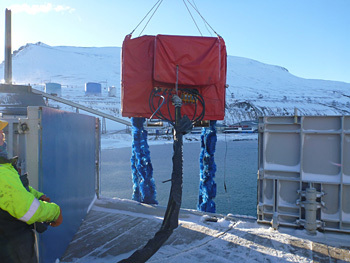 A new, winterised version of H. Henriksen’s standard Foxtail mop skimmer – dubbed Arctic FoxTail – has been proven to be capable of cleaning up spills in arctic conditions and contributing to Norway’s spill preparedness. The Norwegian authorities are committed to protect its marine environment and have many years’ experience with oil spill preparedness. Nevertheless, the adoption of new devices and technology are considered crucial to improve arctic marine safety and environmental protection. As part of its efforts to enhance Norway’s oilspill preparedness, the Norwegian Clean Seas Association for Operating Companies (NOFO) and Norwegian Coastal Administration (NCA) launched its “Oil Spill Response 2015 Program”, inviting vendors to develop equipment to handle oil spill recovery in arctic conditions. Tonsberg-based H. Henriksen’s Arctic FoxTail proposal was accepted, and development of the prototype started in 2016. Filtering out oil spills from the seawater using its sorbent mops, FoxTail VAB (vertical adhesion band) is already well known throughout the maritime industry and capable of salvaging large quantities of oil after a spill, without collecting too much unnecessary water. Moreover, the H. Henriksen’s FoxTail is capable of performing even in rough seas. The original Foxtail was developed and tested at the Norwegian Pollution Control Authority (NPCA) base in Horten, Norway. Since 1984, a number of these have been in service in the North Sea on-board specialised oil recovery vessels operated by the Norwegian Pollution Control Authority. Arctic FoxTail includes all the features of the original FoxTail. New in this version are an additional integrated transfer pump, insulated cover, and a hydraulic heating system that heats both the hopper and the air circulating in the skimmer. Where a standard FoxTail can run in conditions as low as -6° C, the Arctic FoxTail is able to operate down to -21° C under the same sea temperature and wind conditions. The standard configuration is 200 litres per minute and 200 bar with LS and Closed Centre. 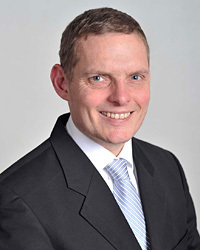 Although, if required, H. Henriksen is able to produce alternative configurations. “Our new Arctic FoxTail system will help handle oil spill recovery in Arctic conditions. Implementing heat and insulation to the machine and moving the transfer pump to the skimmer allows for stable and continuous operations at considerably lower temperatures compared to the standard Foxtail. Also, the weather window for the use of the vertical adhesive band skimmers has significantly increased. This modification, together with the advantage of the VAB skimmers, makes the Artic FoxTail a useful oil spill response device in arctic conditions” explains Trygve Egenes, Managing Director of H. Henriksen. The scope of the testing was to show how Arctic FoxTail widens the weather widow in which oil can be taken from the water with skimmers. Although the original VAB skimmers have proven their ability under extreme sea state and weather, cold weather reduces their efficiency when ice starts forming on the machines. This ice-formation mainly comes from sea-spray. “Operating in the arctic conditions is a challenge in any segment of the maritime industry, as these regions are both inhospitable and environmentally sensitive,” says Egenes. 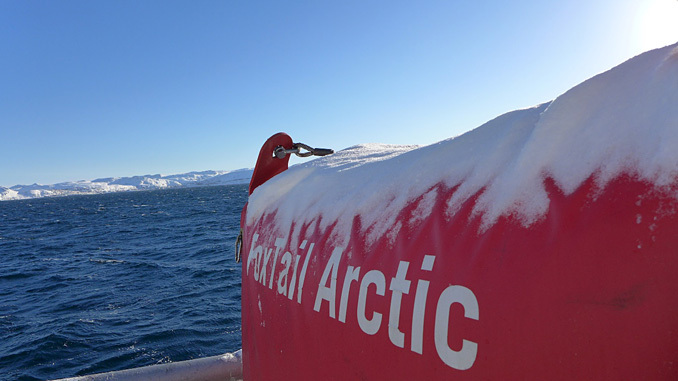 During testing on board MS Polarsyssel in Longyearbyen, Svalbard, the new the Arctic FoxTail proved capable of stable and continuous operation in sub-zero arctic conditions. Following this success, H. Henriksen is now offering its new device to the market, and the first Arctic FoxTail will be delivered to the Norwegian Coastal Administration. 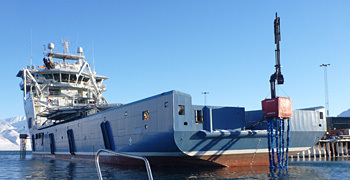 H. Henriksen produces a wide, unique range of specialised solutions in oil spill response – Spillrecs – for both offshore and onshore applications. SpillTech AS – a new Norwegian company established to sell and develop oil spill recovery equipment and other environmental technology products – sells and provides support for H. Henriksen’s Spillrecs oil spill recovery systems. To find out more about Arctic FoxTail, other FoxTail products, and the complete Spillrecs line of oil spill recovery systems visit http://spilltech.no and www.hhenriksen.com.